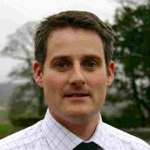 With over 10 years’ on-farm consultancy experience, Phil Clarke can advise you on all aspects of your business. Phil has particular expertise in dairy cow nutrition, particularly with high-yielding dairy herds, cow health & cow fertility and business planning. To receive further information about Kingshay Dairy Consultancy please call 01458 851555 or email contact.us@kingshay.co.uk.